October 7, 2015 - How Do I Evaluate an Insurance Company? 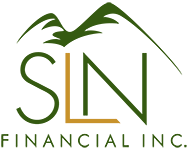 | SLN Financial, Inc.
You buy insurance to protect yourself, your loved ones, and your finances from risk. However, all insurance policies aren’t created equal and you want to be careful to choose policies from companies that will be able to pay claims when you need them. While no one wants to pay more than they need to in premiums, it’s wise to do some research before opting for the cheapest insurance. Before you purchase a policy, it’s very important to assess the strength and quality of the insurance company that holds the policy. With most insurance policies, payouts depend on the claims-paying ability of the insurance company – meaning the company must be financially stable enough to pay insurance claims. If an insurance company goes belly-up, state insurance regulators will step in to protect policy-holders. However, their protection may be limited. Don’t just trust the rating that an insurance company advertises in its materials. Do your own research. Check ratings annually to make sure that there hasn’t been a material change in your insurance company’s situation. It’s also a good idea to do an internet search for any issues or events that may affect a company’s stability but may not be reflected in its rating. Check for customer service ratings and reviews to make sure that the company treats its customers well. You don’t want to be fighting your insurance company when it’s time to make a claim. Be sure to work with a professional who understands your personal situation and can recommend high-quality policies from stable companies.